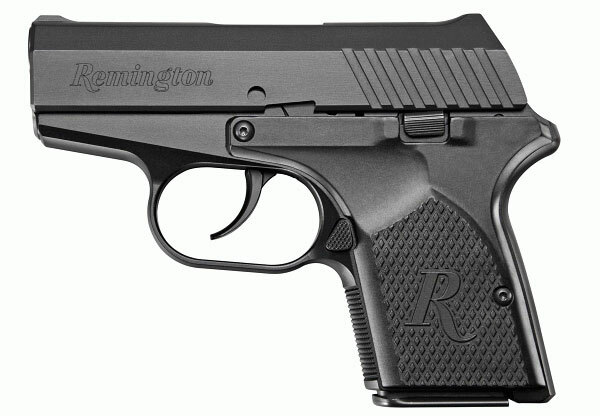 Remington has introduced the brand new RM380, an ultra-small DAO .380 ACP carry pistol. This alloy-framed gun weighs just 12.2 ounces (unloaded), and is very compact, measuring 5.25 inches long. Capacity with flush-base magazine is 6+1, and Remington plans to offer a 7-round magazine with a pinky extension. Because it is hammer-fired, the RM380 has second-strike capability. There is no manual safety. The RM380 is different that many small .380 ACP pistols in using a locking breech rather than a straight blow-back action. Remington claims this reduces perceived recoil. At a media preview hosted at the Arizona Gunsite Academy, pre-production models were tested. Those examples proved reliable, running extended strings (100+ rounds) without failure. However, testers commented on the long, very heavy, 7.9-pound trigger pull. Trigger Pull Weight: 7.9 lbs. 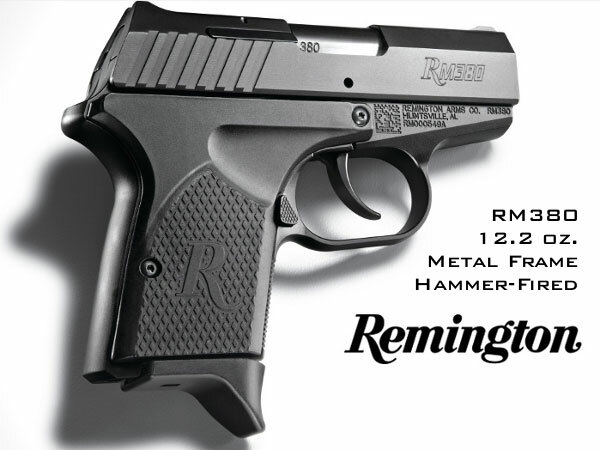 Share the post "New Remington RM380 Metal-Framed Carry Gun"
Wonder if it will handle the +P ammo?